New York (BBN)-After the Spectrum sweater factory collapsed in 2005, killing 64 workers, hardly anything changed to improve factory safety in Bangladesh. Then the Rana Plaza factory near Dhaka collapsed on April 24 last year, killing 1,129 workers in what was the worst disaster in garment industry history, reports The New York Times. And that happened just a few months after the Tazreen Fashions fire, which killed 112 Bangladeshi workers. Reacting to public outrage, Western retailers and apparel brands began a major push to improve safety at the Bangladeshi factories they do business with. It involves a sprint to inspect hundreds of plants each month and a commitment to help correct any safety problems found — all with an eye to preventing another catastrophic collapse or fire. But instead of joining forces, the Western brands have divided into two sometimes feuding camps — a result, some say, that detracts from the overall effort, which has otherwise won praise. One group — the Bangladesh Accord for Fire and Building Safety — has more than 150 members, including many European brands like H&M, Carrefour and Mango, as well as 14 American companies. The other group — the Alliance for Bangladesh Worker Safety — includes 26 companies, all of them American or Canadian, among them Walmart, Gap, Target and Kohl’s. Some members of the American-dominated alliance say that their side has performed more inspections than the European-dominated accord, while some accord members assert that the alliance’s inspections are less rigorous. Accord members say they work closely with labour unions and have extensive input from workers, while the alliance’s members assert that the accord has not provided wages to workers who were laid off when their factory was temporarily closed after inspectors found serious problems. Adding to the tensions, 15 American universities, including Columbia, Duke, Georgetown and New York University, have — in a slap at the alliance — told licensees that produce goods bearing the universities’ logos that they should join the accord, whose program they see as better. Despite these tensions, Dara O’Rourke, an expert on workplace monitoring at the University of California, Berkeley, called the efforts in Bangladesh unprecedented. A study released on Monday by New York University’s Stern School of Business showed how hard. It said that a major problem with the accord and the alliance was that while they will inspect 2,000 of Bangladesh’s more than 5,000 apparel factories, the more than 3,000 others generally have worse conditions — and middlemen often secretly send them orders from Western brands. Ellen O Tauscher, a former House member from California who is chairwoman of the alliance’s board, said the Rana Plaza collapse “changed everything” and forced companies to act. “Bangladesh has a history of corruption, of political turbulence,” she said. “It’s a place where these businesses, instead of walking away, decided to do what is not typical for business. Most businesses spend most of their time trying to buy down risk. The accord has hired 110 engineers to inspect for unsafe electrical boxes, structural soundness and sprinkler systems — a new requirement for all Bangladeshi garment industry buildings 75 feet or taller. The alliance has inspected 400 factories so far, and the European-dominated accord, 300. 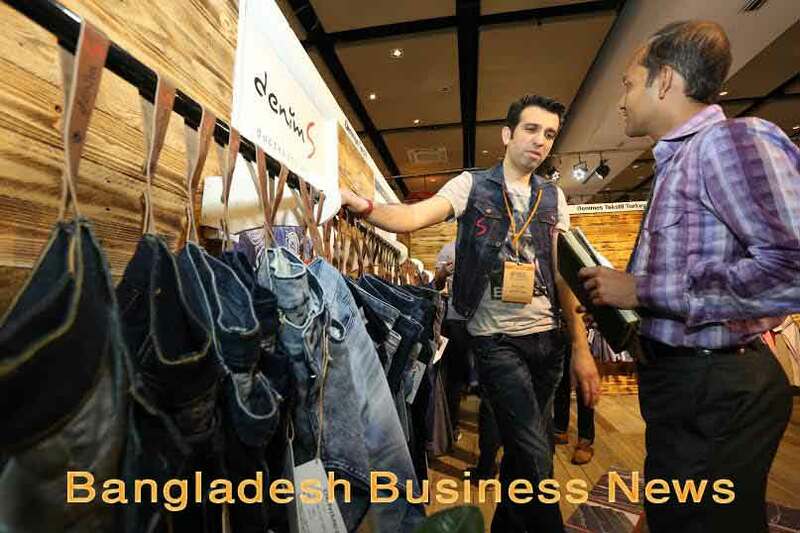 The alliance has set a goal of inspecting all of its members’ 630 Bangladeshi factories by July 10; the accord’s goal is to inspect its 1,500 factories by late October. The inspectors have found serious problems: buildings so overloaded that their columns had cracks, flammable fabric storage areas adjoining work spaces, fire stairways leading to the factory floor rather than outside the building. The cost of fixing the problems can be substantial — from several thousand dollars for a few fire doors to $250,000 for a sprinkler system. “We’ve found problems in every factory we’ve inspected,” said Brad Loewen, the accord’s chief safety inspector. As a result of the accord’s inspections, four factory buildings have been ordered temporarily closed for fear of collapse, while the accord has asked a government committee to close four others. Questioning the thoroughness of the alliance’s inspections, some accord members ask why the alliance has had only one factory closed even though it has conducted more inspections. Ian Spaulding, a senior adviser to the alliance, said that it had asked the Bangladeshi government to order four more factories closed because of serious structural problems. He said the alliance was blamed unfairly — partly because labor unions and a vocal university group, United Students Against Sweatshops, are constantly belittling it. “We need to do a better job as an organization telling our story,” Mr Spaulding said. Some alliance members fault the accord for not paying wages to the more than 2,500 workers at the Softex factory when it was closed in March after accord inspectors found structural problems that needed urgent attention. Under the accord’s rules, factory owners are supposed to pay all the lost wages, if they can. Rezwan Selim, Softex’s chief executive, asserted that his factory was closed without due process and that the accord was not being cooperative or professional. Selim said he took out a bank loan to pay the wages after the workers engaged in protests. Rob Wayss, the accord’s executive director for Bangladesh, said his group’s exacting inspections had met with some resistance from factory owners. He said the accord had adhered to the letter of the law in closing plants and had pledged to help factory owners pay lost wages and finance needed safety improvements if they demonstrated that they could not afford those things themselves. Wayss said one of the accord’s signal achievements was allowing the public to see detailed inspection reports of factories, which include photos showing dangerous electrical boxes and cracks in columns. “This showed an unprecedented level of transparency,” he said. The alliance, worried about libel lawsuits and first getting the go-ahead from Bangladeshi authorities, has not made any inspection reports public. “Hopefully the accord’s transparency will force the alliance to up its game,” Professor O’Rourke said. Scott Nova, executive director of the Worker Rights Consortium, a monitoring group and accord member, said many of the alliance’s inspections piggybacked on inspections done earlier for Walmart, asserting that those inspections had not been rigorous enough. He pointed to Walmart-sponsored inspections of the Dird Garments factory in September that gave B grades for structural and electrical safety. But when the accord’s engineers inspected Dird this month, they found “urgent concerns,” including “highly stressed columns” and dangerous overloading. They ordered the removal of loads from several floors and the emptying of the water tank on the roof. Alliance officials defended Walmart’s inspections, saying they are made by structural and electrical engineers and not by compliance monitors, as they once were. After the Tazreen fire in 2012, Walmart increased the frequency and rigor of its inspections. Alliance officials say their engineers perform demanding inspections that often supplement those done earlier.